As a project manager or deciding member of your company, options regarding construction and remodeling can seem overwhelming at first. The best way to get on top of decisions involving your building’s maintenance and upgrades like window installation and upkeep is to consult a trusted team of industry experts who know all the ins and outs of your building’s needs. Commercial windows require trained experts for planning, installation, and maintenance. Working with an experienced commercial window installer will alleviate any concerns you may have and ensure your building is getting the best solution in terms of quality, function, aesthetic, and energy efficiency. 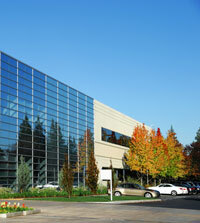 One of the most important aspects of your commercial property is the windows of your buildings. Windows that are properly chosen, placed, and installed will make your building look great and offer the correct balance of privacy and sunlight to meet your specific needs. The management of apartment buildings, hospitals, corporations and community buildings, and retail or other commercial properties means you’re responsible for choosing an expert commercial building window replacement professional who will inform you of the required maintenance and even glass options for maximum heat and energy efficiency for your commercial replacement windows. There are several options for the replacement and new installation of commercial windows. These include different types of glass, exterior window design, and modern commercial replacement windows. Choosing the right commercial window installers who will work with you a long-term basis gives you the benefit of continued knowledge and expertise tailored for your specific needs. Commercial building window replacement can only be properly performed by experienced installers. Some of the options your commercial building window replacement expert will likely provide you with include bay windows, casement windows, double-hung windows, and awning windows. Glass and setting options for commercial windows include wood, vinyl or metal trim, weather shielding, tint, UV protection, and encased blinds. Sometimes your existing commercial windows can be repaired, or otherwise maintained in lieu of a total replacement. For an accurate estimate and solution to your leaky or drafty windows you will need to contact a team of commercial glazing contractors who can inspect your property. Commercial glazing contractors specialize in adding or replacing the glaze that seals your window to the building, creating an air-tight bond that can save you money in heating and cooling costs. Commercial building window replacement and commercial glazing contractors can repair or replace any window in your building, often saving your company money in the long run due to increased energy efficiency and prevention of mold and other issues that can arise from worn window seals. Your team of trusted Commercial Window Installers and Commercial Glazing Contractors can provide you with the best solutions for your building’s specific needs and ensure you’re getting top-quality service and materials. Contact All Service Glass today, we are here to answer questions and provide you with a Free Estimate.